New York Times best-selling author Dan Buettner’s second book delves deeper into what factors aid in an individual’s happiness, as well as “the macrocosm” of one’s dwelling in a specific place, be it a small town, city and even how a country’s national policies can play an important role in individual lives. Buettner expounds on how the actual environment, green space, traffic, etc. play a huge role in one’s personal happiness. The Blue Zones of Happiness is full of useful information that is both realistic and constructive. You will enjoy reading this book and taking a more realistic look at the current place, be it a farm, city, small town and state where you live. 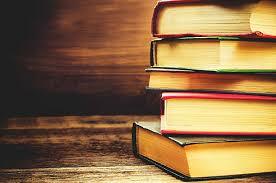 The book encourages all of us to look objectively at the environments in which we live and find areas to make change. His scenarios and qualitative data are a resource for local communities and towns and city councils looking to make their spaces more pedestrian and green space friendly whilst at the same time improving upon the health and well-being of the lives of its’ local citizens, making the areas more attractive for new business and providing leverage and economy to flourish. One example Buettner gives is Boulder, Colorado. In the late 1960’s and early 1970’s corporate redevelopment companies wanted to build into the mountains and foothills and build the city up, meaning high-rises and tower building. However because of a concentrated effort to keep the mountain views open and a campaign of environmental activism in keeping the city limits drawn and the green spaces pedestrian friendly and high-rise free, today Boulder is a thriving city economically and considered one of the best places to live in the world. 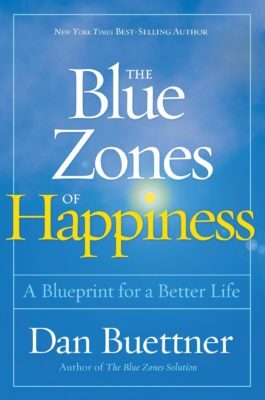 The Blue Zones of Happiness is a great tool if you are interested in solutions for your own neighborhood or as a tool to educate elected officials and make aware the importance of healthy, environmentally and pedestrian friendly spaces that improve upon community members’ healthy lifestyles such as walking and bicycling. This book is a useful manual for individuals and communities to take the initiative toward happier, healthier lives. 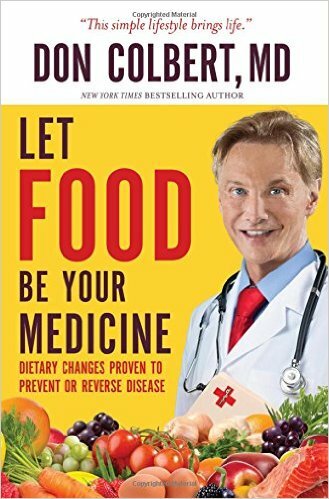 Physician-turned-journalist Don Colbert, MD offers intriguing and practical advice for optimum nutrition and wellness in Let Food Be Your Medicine: Dietary Changes Proven to Prevent and Reverse Disease. Early on, Colbert shares the deceptively simple insight that we catch colds but we develop chronic diseases like Type II Diabetes or Cardiovascular disease. That is not a coincidence, either. In Latin, “Dis” refers to being “apart”, disjointed, or having a negative or “reversing force.” Ease refers “freedom from pain” or being in a tranquil or peaceful state. In essence, disease signifies a breaking away from a peaceful or tranquil state. The process of developing and solidifying disease, however, is complex and involves lifestyle & environmental factors, as well as the interplay of all systems of mind, body, and spirit. I tend to gobble up books about food, nutrition, and wellness and am naturally obsessed with how the gut or the “microbiome”, i.e. the ecosystem living in the core of your body, is more powerful and influential over our general health & well-being than we once imagined. A discussion about the microbiome is another conversation entirely and is far beyond my scope of knowledge; but Colbert does not overlook discussing current research about the delicate ecosystem living between our brain and bowel. How curious that we may even begin to view our food cravings as tiny demands from the bacteria in our guts who have lives of their own? In essence, we are feeding them. You better believe they don’t always have your best interests in mind, either. The little “voices in your head” (or, gut, in this case) take on a whole new meaning. Read this book to dig in a little deeper as to how and why our microbiome is so influential and critical to our overall health. Colbert mixes testimonial with current medical evidence to present a compelling argument for being mindful and deliberative when it comes to what we put into our bodies. Learn about his struggle with autoimmune disorders and how his quest to heal himself resulted in weeding nightshade foods (peppers, eggplants, tomatoes) out of his diet. Not all food is equal in its ability to nourish, heal, or harm, either, as you may know. We often take for granted that we do not innately know what foods are harmful or helpful. Many of us grew up in homes in which our parent(s) worked and perhaps did not have the time to prepare and cook whole, nourishing meals all week long. In short, eating “healthy” is not common sense. Failure to meet your daily nutrient requirements or to altogether make harmful dietary choices is not therefore some testament to your lack of willpower. Quite simply, many of us have to learn how to make better food choices, and that starts with education. If you have any curiosity whatsoever in how you can better yourself simply by changing what you put into your body, read this book. This book is not a fix-all for all that ails you, nor does it substitute for the relationship you have with your primary care physicians or doctors. Part of what is working about healthcare is that we acknowledge that wellness involves the alignment of mind, body, and spirit or the non-physical part of a human being. Grey’s Anatomy sums up the dilemma well in one episode in which Dr. Preston Burke, esteemed neurosurgeon, argues with Dr. Cristina Yang that nurturing a patient’s spiritual state is equally as important as the medical intervention being performed, for the reason that human beings are not merely physical bodies. The non-physical parts of us require care and respect, too. Though Colbert’s book does not discuss the role of spirituality in health in great depth, he no-doubt weaves his own faith into the book (but it is not oft-putting for non-Christians). I can most certainly recall a time in my lifespan of thirty-six years when the words “soul”, “spirituality” and “Ayurveda” would have never made an appearance in a discussion about disease, illness, or health & wellbeing. But today? We are becoming more interdisciplinary & holistic in how we not only view but “treat” illness — and how we care for whole human beings (not just symptoms). 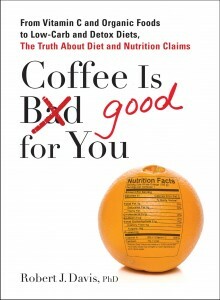 If you are even the slightest bit curious about how food can harm or heal, read this book. If you would be amazed by the prospect of eating a diet that custom made to fight diabetes, Alzheimer’s, heart disease, cancer, auto-immune disorders — read this book. Believe it or not, one of the most powerful statements that Colbert makes in this book is this: cancer, depending upon the type and staging, can and very well does constitute a chronic disease that can actually be managed like other chronic diseases not unlike COPD, heart disease, and diabetes. I don’t know about you, but aside from a cure that’s the very best next thing! Bear in mind, Colbert is not claiming to have a cure for cancer; but he lays out, in one case, a diet plan that is tailored not only to the cancer patient but to the specific stage of cancer in order to increase the chances of putting the cancer into remission…and we can do this with vegetables, micronutrients, plants–with the plentitude of healing, delicious foods that are available to us should we be inclined. That the average adult spends 50 to 70 percent of their day sitting is no surprise to anyone who works in an office environment. But few realize the health consequences they are suffering as a result of modernity’s increasingly sedentary lifestyle, or the effects it has had on society at large. In Get Up! 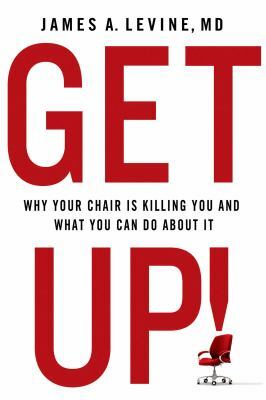 , health expert James A. Levine’s original scientific research shows that today’s chair-based world, where we no longer use our bodies as they evolved to be used, is having negative consequences on our health, and is a leading cause of diabetes, cancer, and heart disease. Over the decades, humans have moved from a primarily active lifestyle to one that is largely sedentary, and this change has reshaped every facet of our lives–from social interaction to classroom design. Food Network’s star Giada De Laurentis reveals her secrets for staying fit and feeling great in Giada’s Feel Good Food, a gorgeous, practical book with healthy recipes including nutritional information, and personal lifestyle and beauty tips. Finally answering the question her fans ask most often, “How do you stay so trim?,” Giada De Laurentiis shares the delicious easy recipes and tips she uses to maximize energy and remain fit. Here are 120 recipes for breakfasts, juices, lunches, snacks, dinners, and desserts that can be combined into a month of delicious feel-good meals. So that everyone can enjoy these dishes, many are gluten-free, dairy-free, vegetarian, and/or vegan, with helpful icons to call them out – and, for the very first time, each recipe includes a calorie count and nutritional analysis. Special sections delve into Giada’s everyday life, including her beauty and exercise routines, how she satisfies sugar fixes, what’s always in her bag, and her ordering tips for eating in restaurants. The most expensive multivitamin is the better one, because the price reflects a company with more stringent quality controls, right? Not at all. But the cheaper ones aren’t any good either, right? Wrong again. Some of them are stellar. Some. It turns out there is pretty much no correlation between cost and quality, from a few cents per dose to some over fifty cents a pill. Some don’t have the the advertised RDA of certain vitamins. Some have unhealthful contaminates. Some are of such low quality they don’t disintegrate properly, rendering them ineffective. So, just don’t take vitamins then? Also, a bad idea. Read the results of this experiment and buy the cheapest with a passing score. October is National Breast Cancer Awareness Month. The month is promoted by a coalition of national nonprofit organizations, professional medical associations and government agencies, with the purpose of raising breast cancer awareness, sharing information and providing screening services. Breast cancer is the second leading cause of cancer death (after lung cancer) in women; more than 170,000 women will be diagnosed and more than 40,000 women will die from the disease this year. 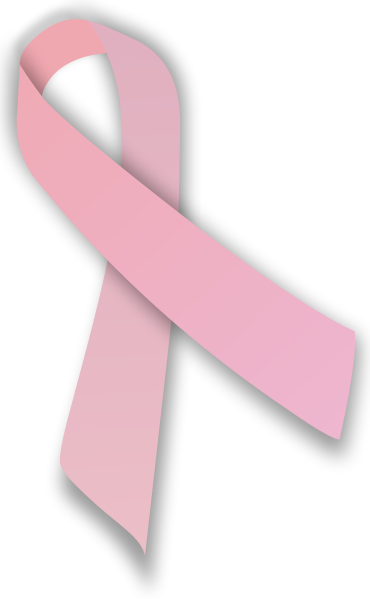 It is estimated that 2 million women living in the United States today have been treated for breast cancer.